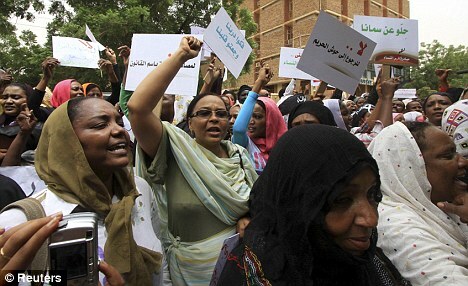 Thousands of people have joined social media groups calling for anti-government protests in Sudan, Sunday Jan 30th 2011 saw huge protests, they are set to continue. March 7th, 2012 - The video shows a woman, who was a friend Awadia Agabna. She was assaulted by police on the way to Awadia Agabna's funeral. She suffered internal bleeding and injuries to her face.